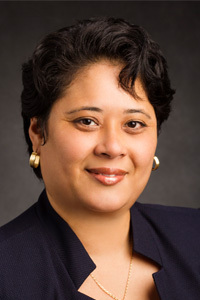 Dr. Adrienne Dixson, professor in the department of Education Policy, Organization & Leadership, has been named the 2019 Willystine Goodsell Award Winner, bestowed by the AERA special interest group Research on Women and Education. The award annually recognizes an educator who has served AERA on behalf of women, girls, and education through scholarship, activism, and community-building. Willystine Goodsell, for whom the award is named, was a 19th-century activist, teacher, and faculty member at Teachers College, Columbia University. Goodsell dedicated her life to advancing opportunities and equal education for women. Dixson locates her research within two theoretical frameworks: Critical Race Theory and Black feminist theories. Most recently, she has investigated how educational equity is mediated by school reform policies in the urban south. She will present her research at the 2019 AERA Annual Meeting in Toronto. Congratulations to Dr. Dixson on this well-deserved honor!